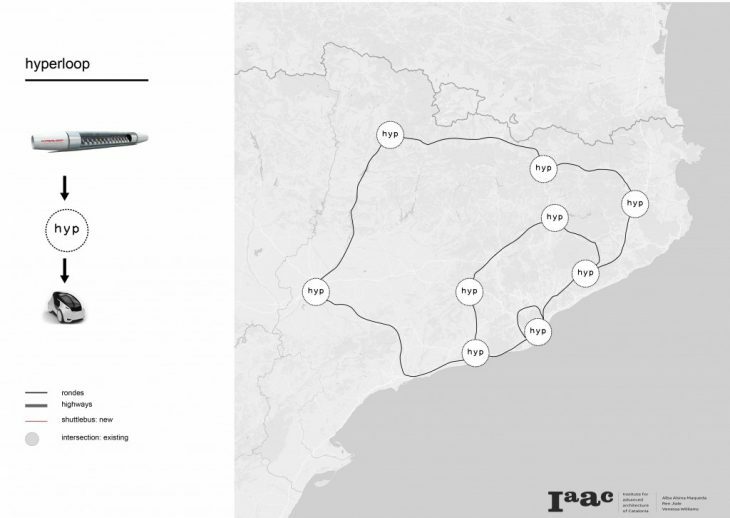 Recent discussions on Les Rondes- the ring roads encircling Barcelona and parts of Catalunya- inspired the conceptual proposal for public transportation systems along these highways. Currently facing problems of traffic, congestion and air pollution, Les Rondes might be on the verge of significant changes. Seven highways intersect with Les Rondes, creating six critical junctions which are prone to high level of traffic especially at peak hours. 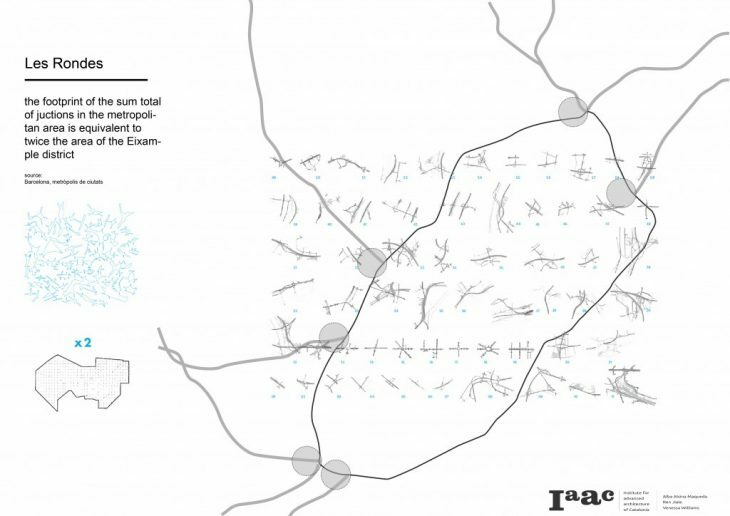 An average of two million people come into and leave the city daily, all along Les Rondes and the intersecting highways. 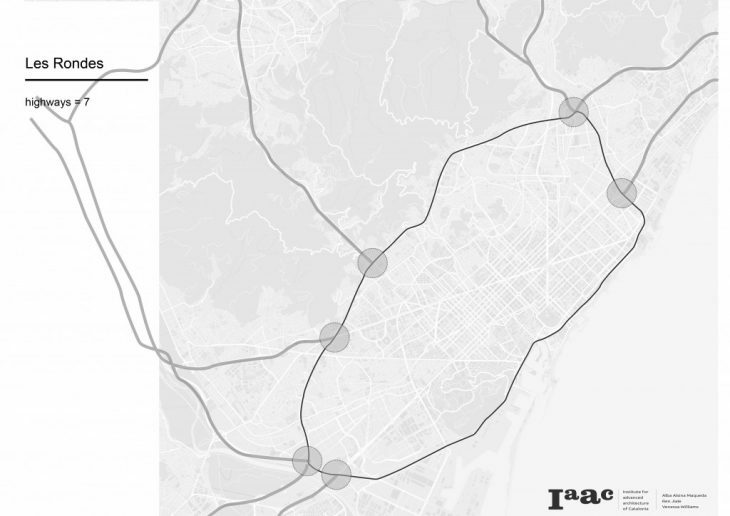 Junctions in general take up a lot of space in the city, and studies show that the total area of junctions in the metropolitan area equals twice that of Le Eixample. 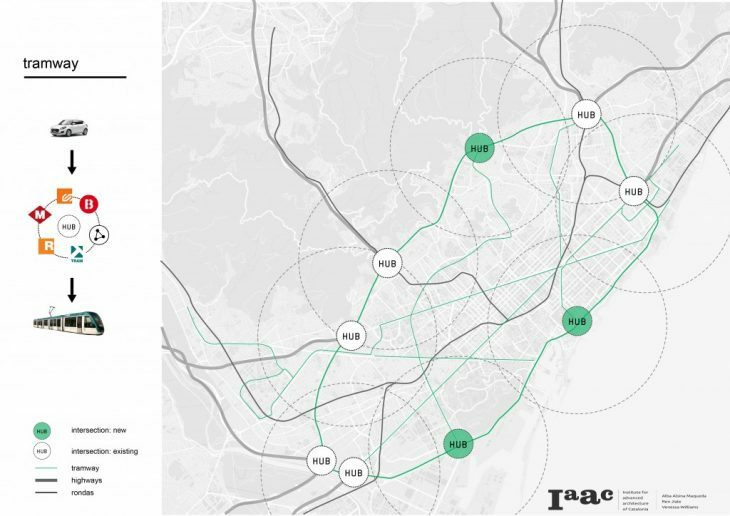 What if junctions could become multifunctional nodes, with infrastructure to cater to different activities and users at different times? 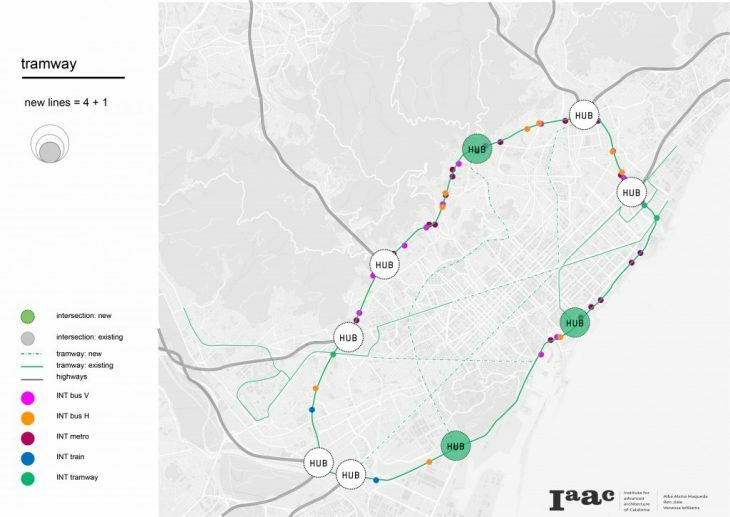 Inspired by David Bravos proposal to introduce tramways on Les Rondes, the first conceptual proposal seeks to extend the tramway network throughout the city as well. This would help reduce traffic and congestion on the highway, and also reduce the amount of air pollution through the reduced number of private vehicles along this road. The junctions would also be maximized as Hubs, providing infrastructure for temporary work spaces, public facilities, and transition points of different modes of transport. The Hub would be located on the top level of Les Rondes, for easy access by pedestrians, and consist of lifts that take passengers directly to the tram platforms. Parking would also be made available on the road edges for private car drivers to continue their journeys via the tramway. The second proposal is for the Shuttle Bus and City Car. This would extend the public transport system beyond the Metropolitan ring of Les Rondes to include the regional area. These buses would bring passengers from these parts and connect them to Electric City Cars located along the major intersections with Les Rondes. These shared vehicles are sustainable and take up less space than the average private car. 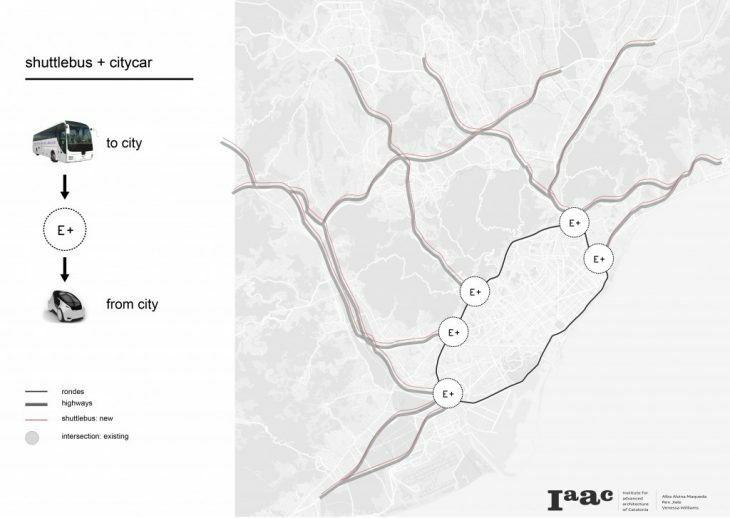 The final concept proposes a fast and futuristic means of public transportation along the entire Catalunan region. Hyperloops are already being tested in a few cities for long distance travel. Having this along Les Rondes could be the solution to its daily congestion and pollution issues.